Is your company struggling with the following? Manually processing thousands of supplier invoices or payments on a monthly basis. Manually keying into your ERP system. Invoices lost through paper based authorisation systems. Regularly missing supplier discounts due to late payment. Slow service connection due to peak delays caused by payment cycles. If you have these or similar problems; then Scantech have the solution. Scantech can provide a fully automated outsourced solution from start to finish. Receive sort; batch all incoming mail according to your business rules, including electronic versions i.e. email & txt. Scan- dual black and white (bi-tonal) and colour. Capture – extract the data. Process into our workflow (Flow Multi-node) collaboration with business rules applied. Archive and store all documents electronically with full audit history for compliance and retrieval. Automated approval process with three way matches. Process improvement without capital expenditure. 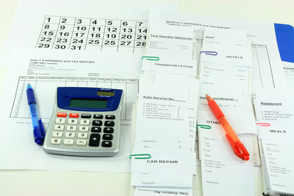 Prevention of invoice loss and duplicate payments. Accounts payable and receivable status instantaneously. Expedite responses to queries from suppliers or customers. Guaranteed results no technology or implementation risk. Never misplace an item again. Reporting that highlights invoices with prompt payment discounts or agreed discounts or VIP clients.